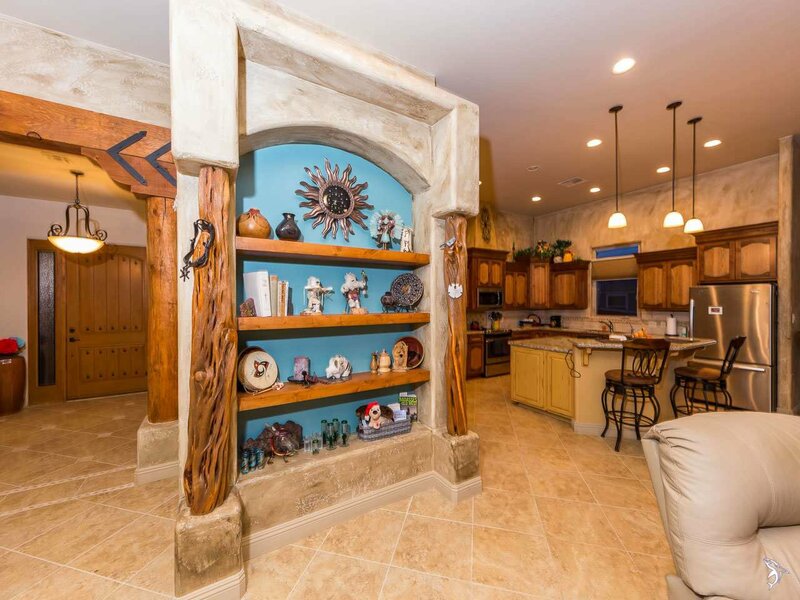 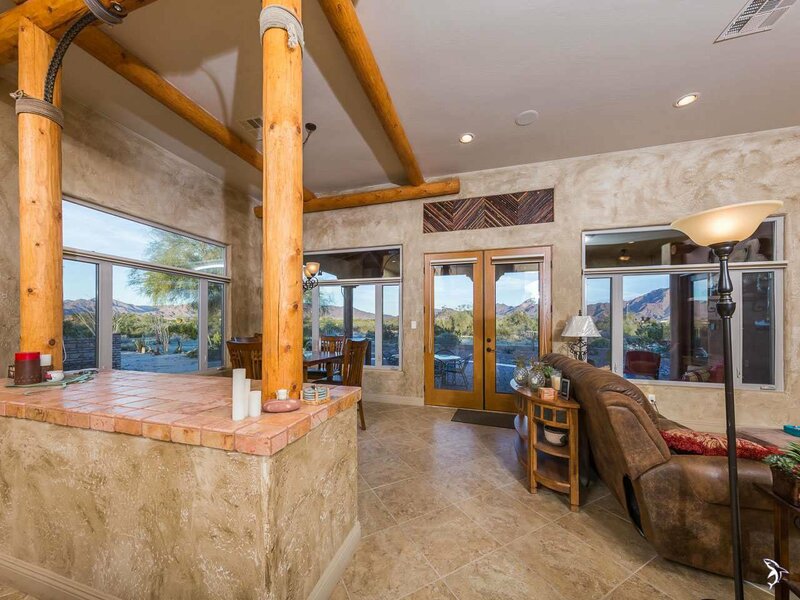 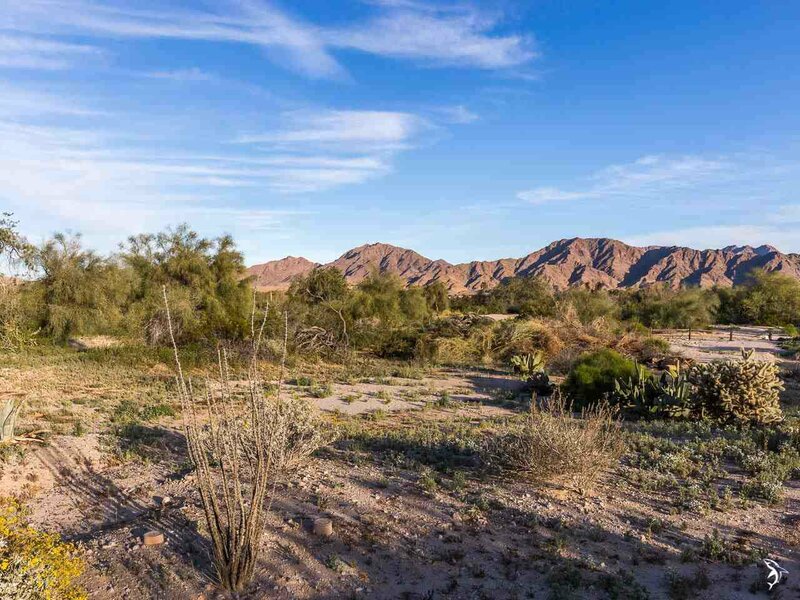 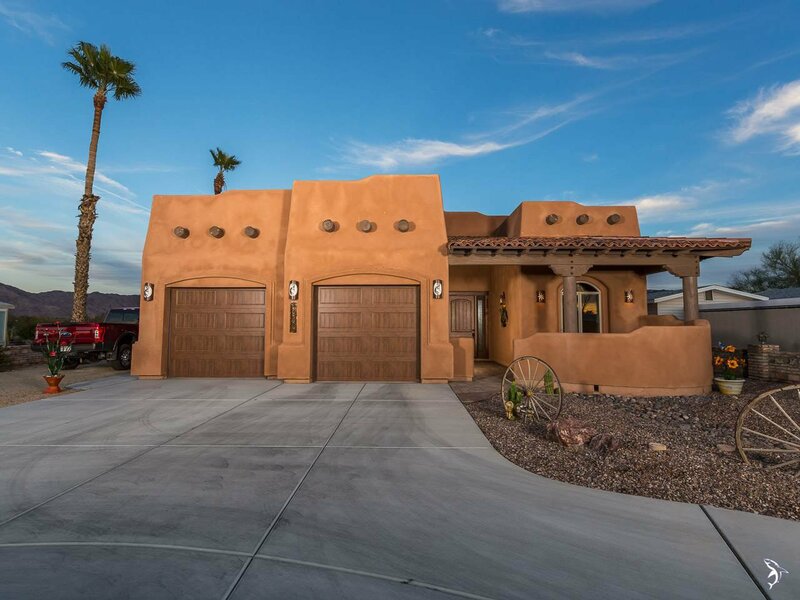 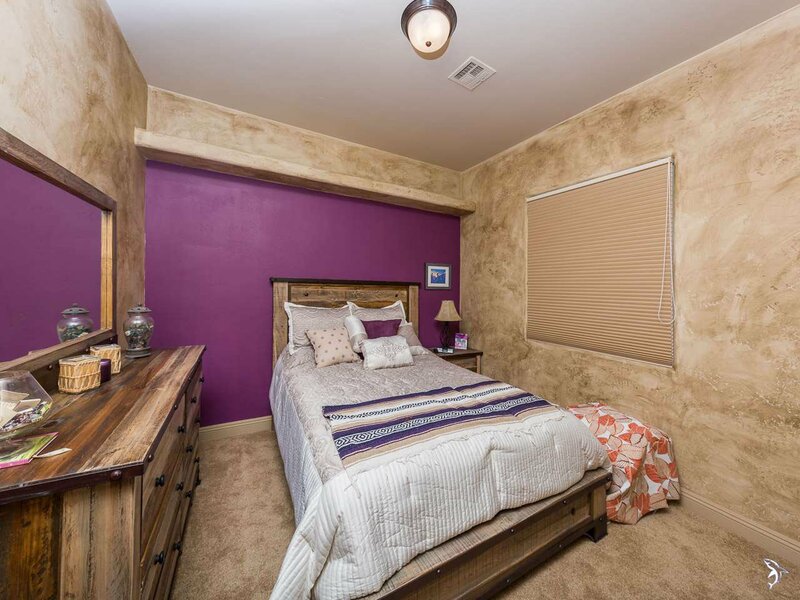 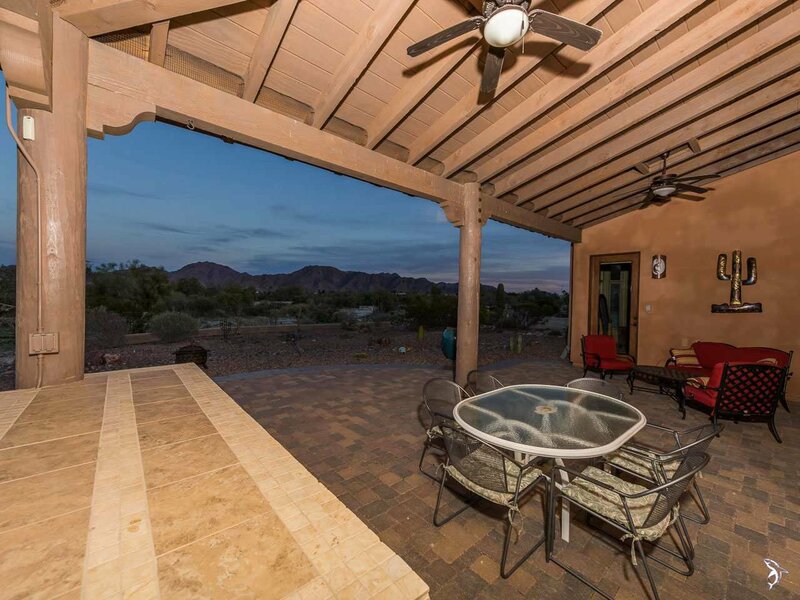 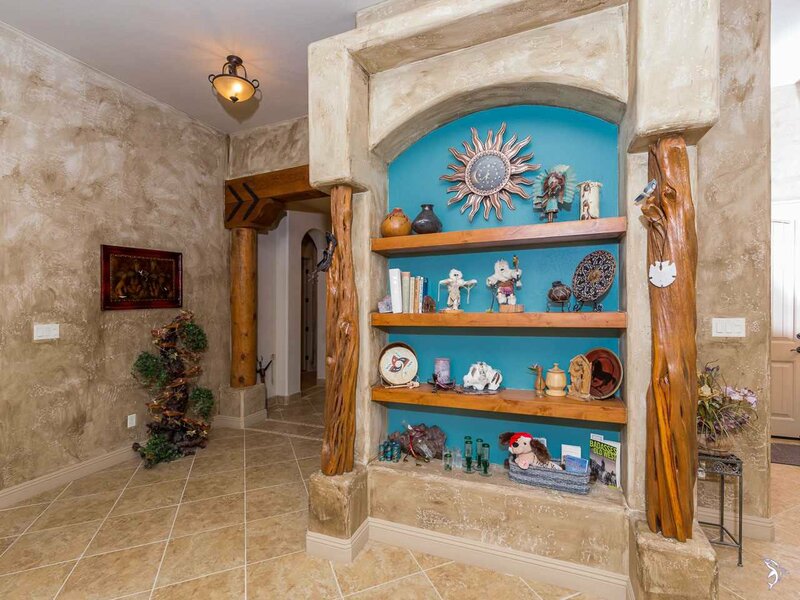 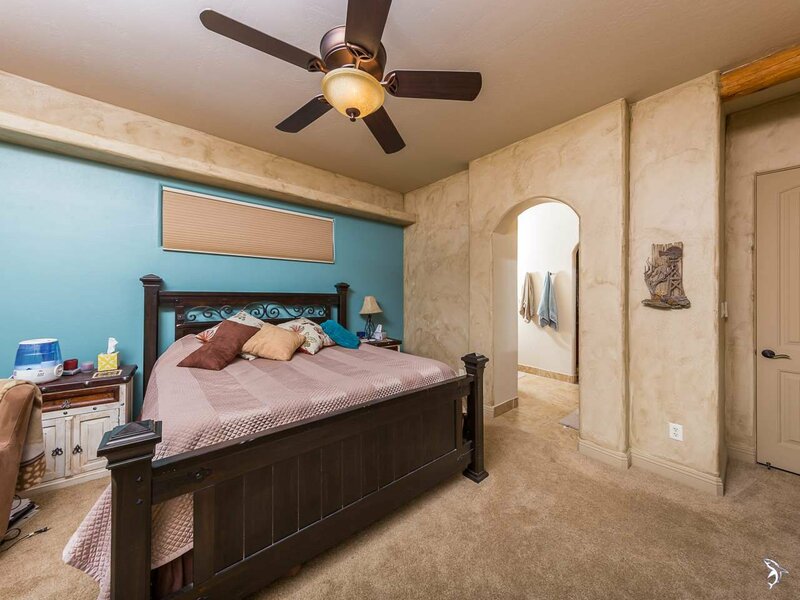 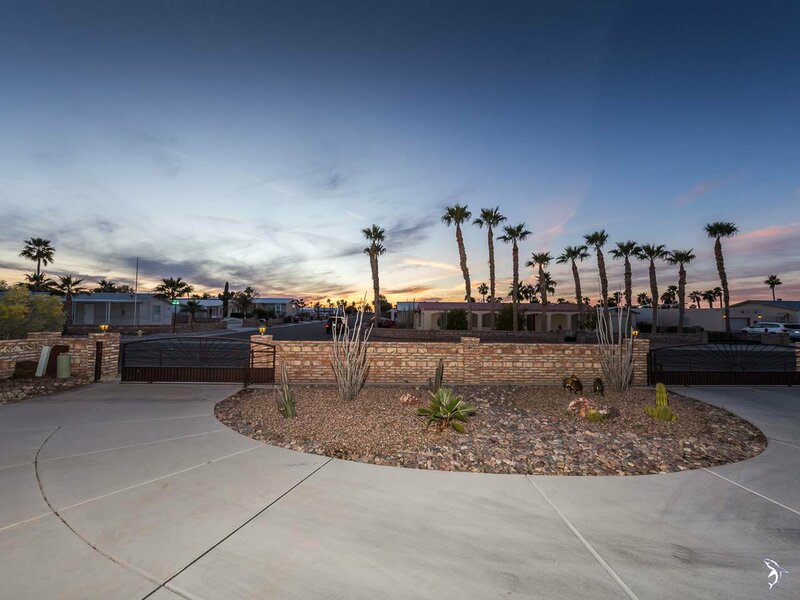 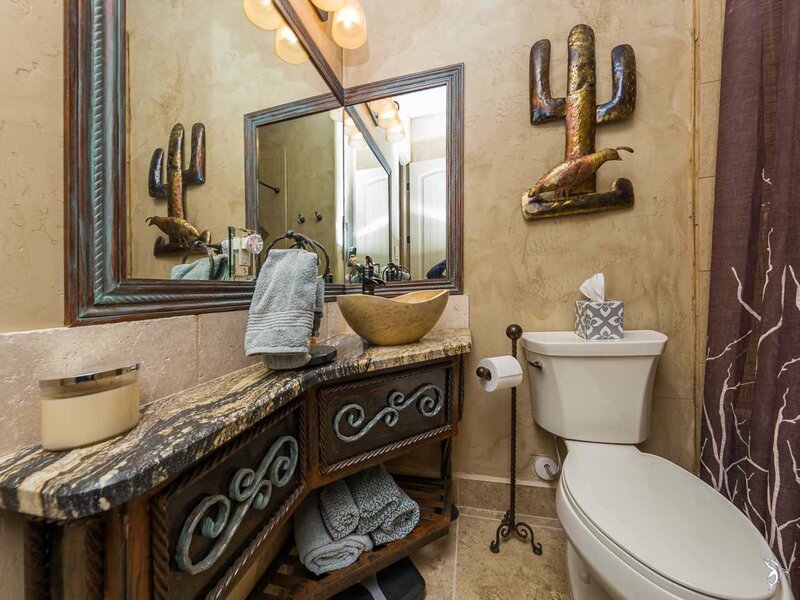 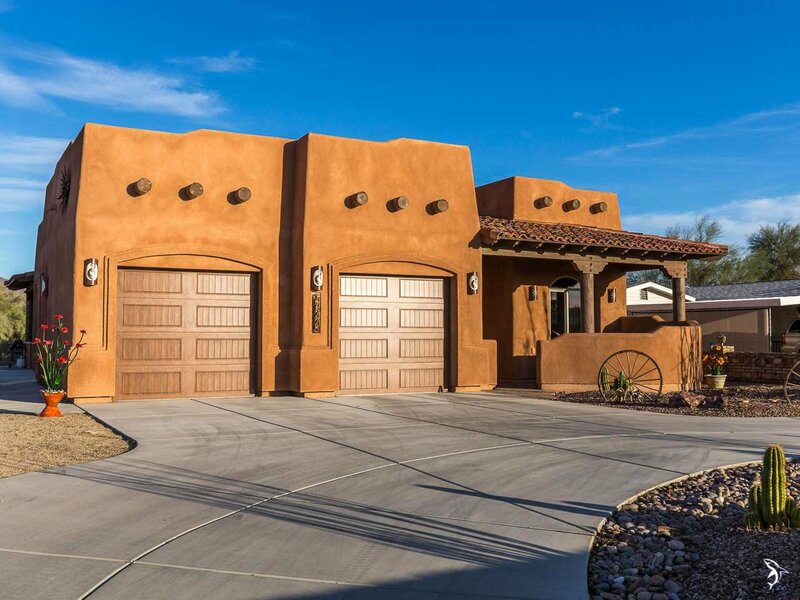 Stunning custom 3 bed 2 bath Santa Fe home on the wash overlooking the 10th green of the Las Barrancas Golf Course. 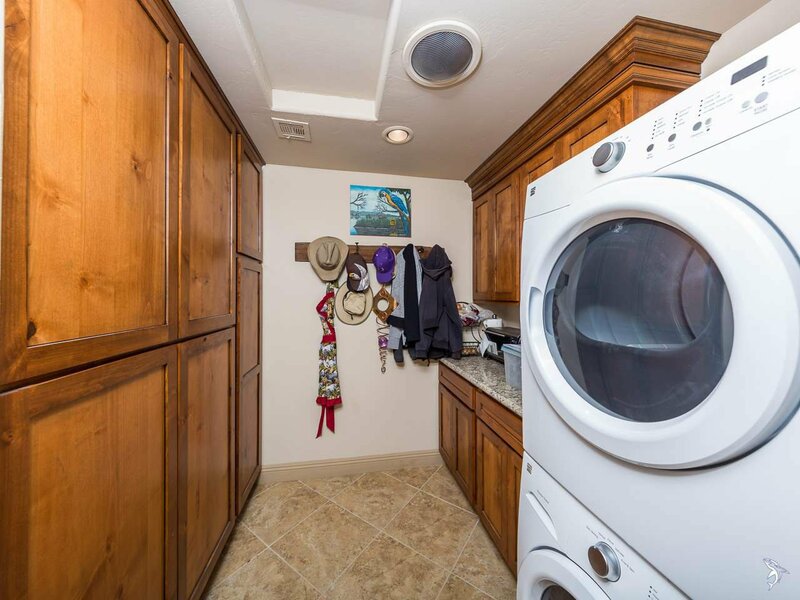 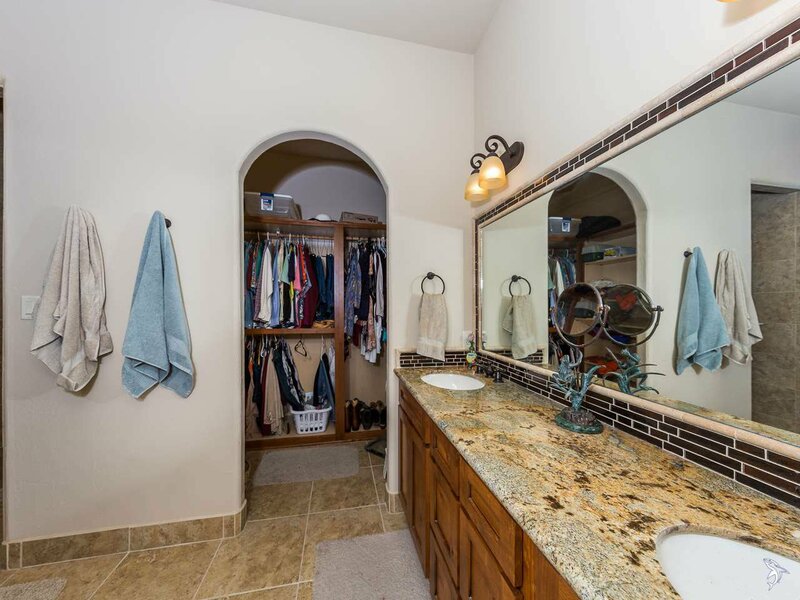 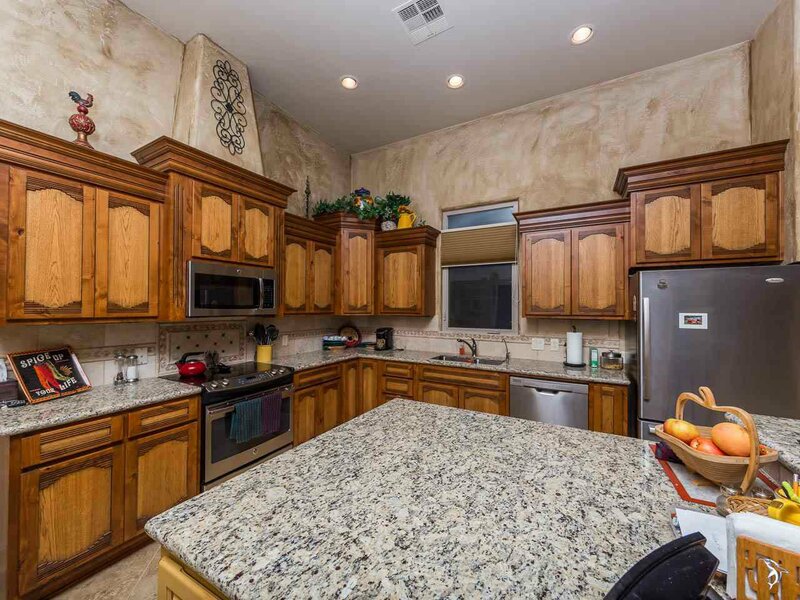 Granite counters throught kitchen baths & laundry, Hickory/Alder cabinets also w/pull-outs. 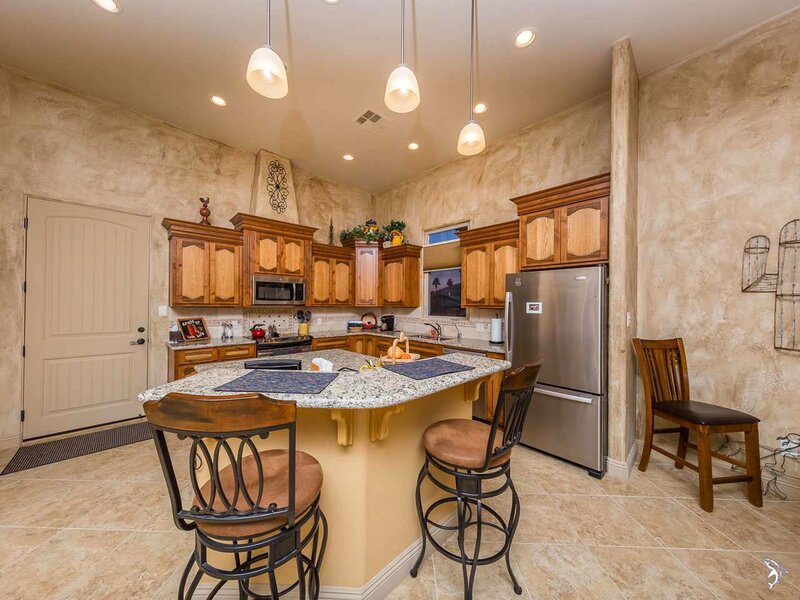 Kitchen just for the Foodie, plenty of counters for cooking & staging. 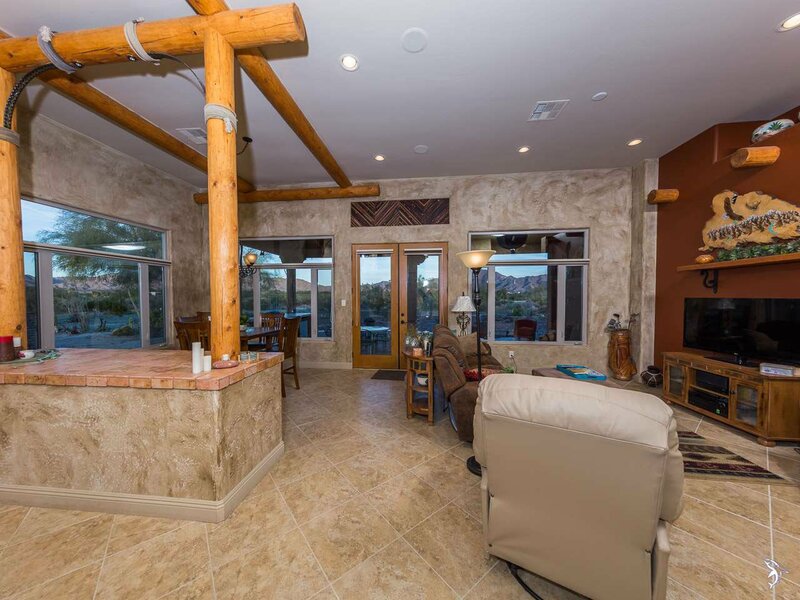 two service bars and a dining area. 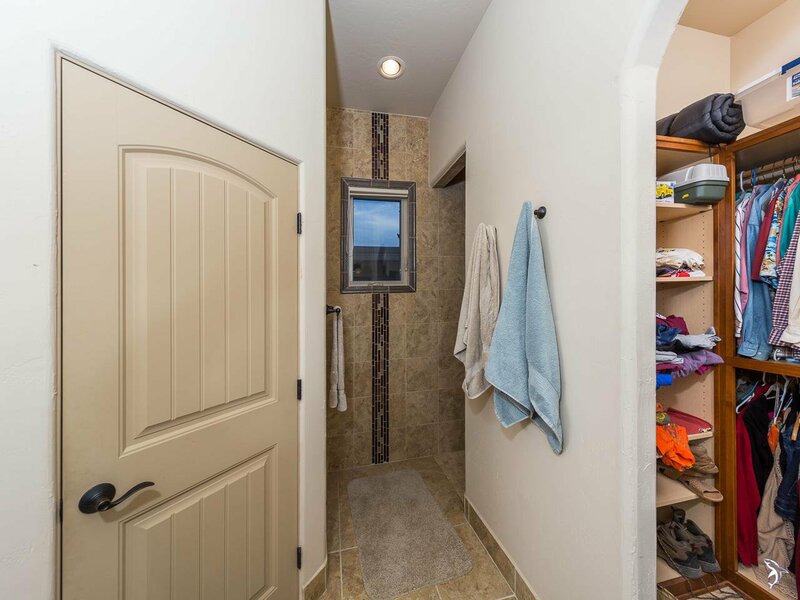 Soaring 10-12 foot ceilings, 8 ft doors, exposed headers compliment the custom built-in with cedar accents. 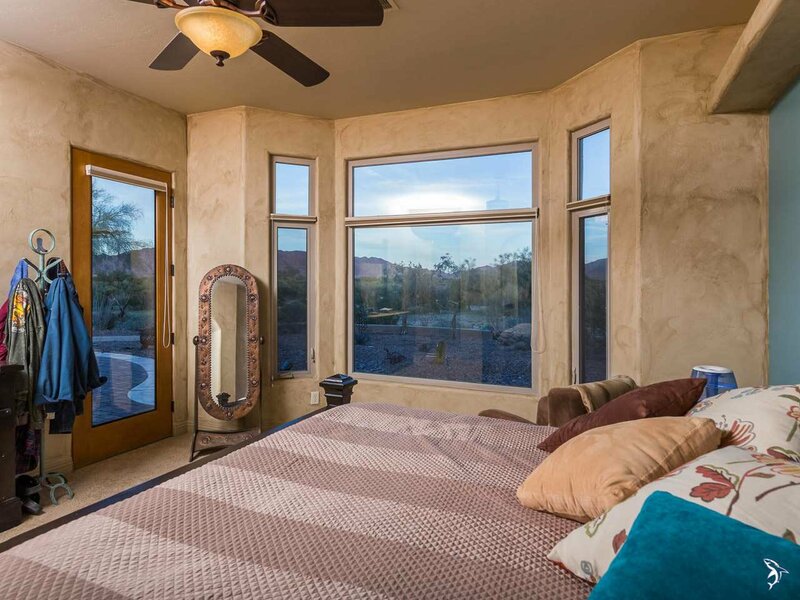 Oversized windows expose the unparaell views of the mountains. 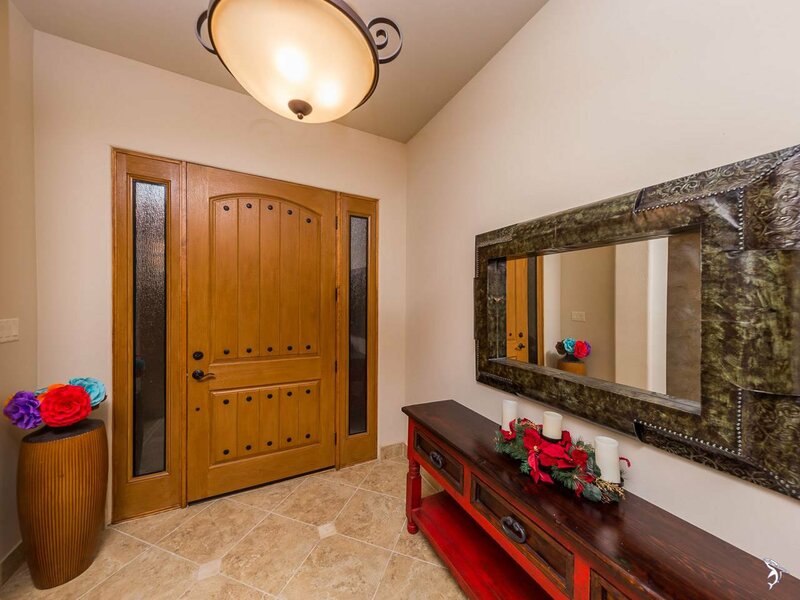 Custom glaze paint & more. 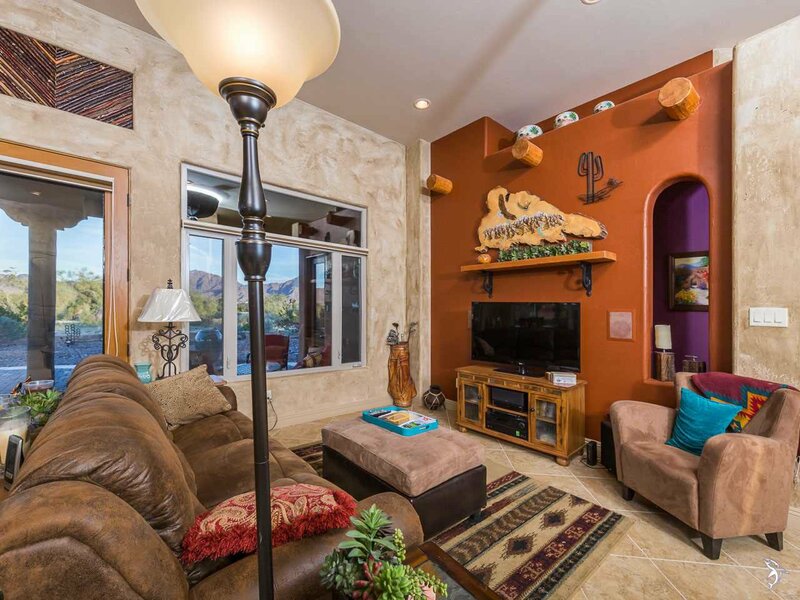 Listing courtesy of CENTURY 21 Action Group Fthl.